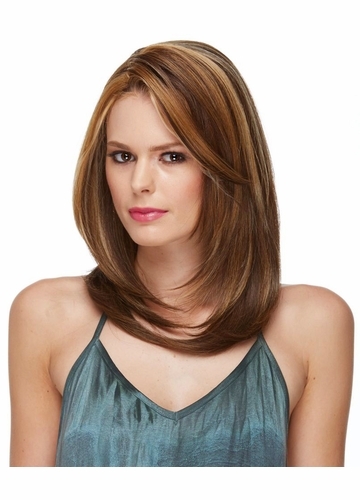 Below the houlder length layered lace front wig with middle part. Smooth volume with great body and movement. Model is wearing this wig in lt.brown/strawberry blonde/pale blonde blend.